Netflix's Chief Content Officer confirms. The Witcher Netflix series has been confirmed to hit the popular streaming platform sometime in the last three months of 2019. As reported by Deadline, Netflix Chief Content Officer, Ted Sarandos, made the announcement on an investor call which covered other (clearly unimportant) titles that will arrive on the platform this year. 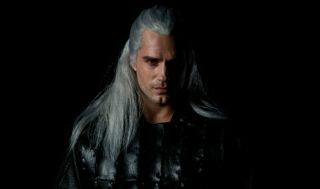 Starring Henry Cavill as Geralt, the Netflix adaptation is based on the Polish novel series by Andrzej Sapkowski, also the inspiration for CD Projekt Red's popular The Witcher series. It's not an adaptation of the games, then, but naturally we're watching it closely on the off-chance it references the most iconic scene of arguably any RPG. There's been a placeholder on Netflix for a while now, which reads, "The witcher, Geralt, a mutated monster hunter, struggles to find his place in a world where people often prove more wicked than beasts." While it's not much to go on, we do know that the series is expected to be eight episodes long and will also include favourites Ciri (Freya Allan), Yennefer (Anya Chalotra), and Triss (Anna Shaffer), as well as many other familiar characters. Sapkowski is working on the show as a creative consultant and had this to say at the time of the initial announcement, back in 2017: "I'm thrilled that Netflix will be doing an adaptation of my stories, staying true to the source material and the themes that I have spent over thirty years writing. I'm excited about our efforts together, as well as the team assembled to shepherd these characters to life." If you want to find out more, we have a handy article that will tell you everything we know about The Witcher Netflix series, from cast members to set photos as well as everything we've learned about the story so far.